"Battle Angel" is based on the Japanese Manga series of graphic novels by Yukito Kishiro. The movie combines the first three books, Ido, Alita, and Hugo. Set in the 26th century, the story takes place 300 years after a societal collapse caused by a major war. In that society, it's a technological dark age following a pinnacle of achievement far beyond where we are right now. Cyborg technology is a way of life. People are augmented a lot as workers, so being a cyborg is not unusual. The main character is a cyborg. She has an organic human brain, and she looks like she's about fourteen years old. She has a completely artificial body and she's lost her memory. She is found in a wreckage and reconstituted by a cyber-surgeon who becomes her surrogate father. 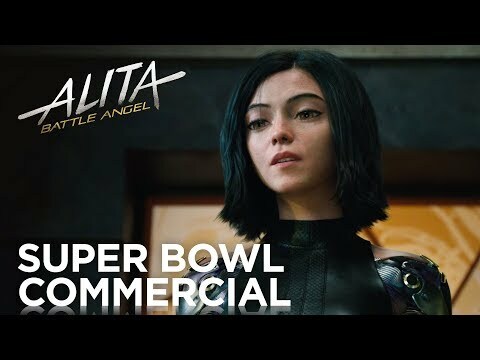 Alita: Battle Angel was released on Cinema 68d ago in the US and the UK. Based on 22 Alita: Battle Angel Cinema reviews, Alita: Battle Angel gets an average Cinema review score of 55. The score for all versions is 55 based on a total of 22 reviews. The film’s rock’em sock’em rumbles aren’t hollow, nor is the conversation about how violence permeates a society. Alita: Battle Angel is an eye-popping spectacle that doesn't quite live up to the iconic manga it's based on. The film’s action boasts some of the most sturdy, coherent direction to mark a giant-scale blockbuster in some time. Although Alita is built with some feminist empowerment in mind, some of the messaging malfunctions against old world patriarchy. Robert Rodriguez’s film about a fighting cyborg with an invincible body develops weakness in the head.